No hassle, no mess. 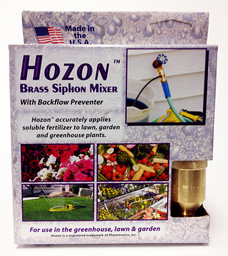 This siphon injector attaches right at the faucet allowing you to use your existing garden hose. 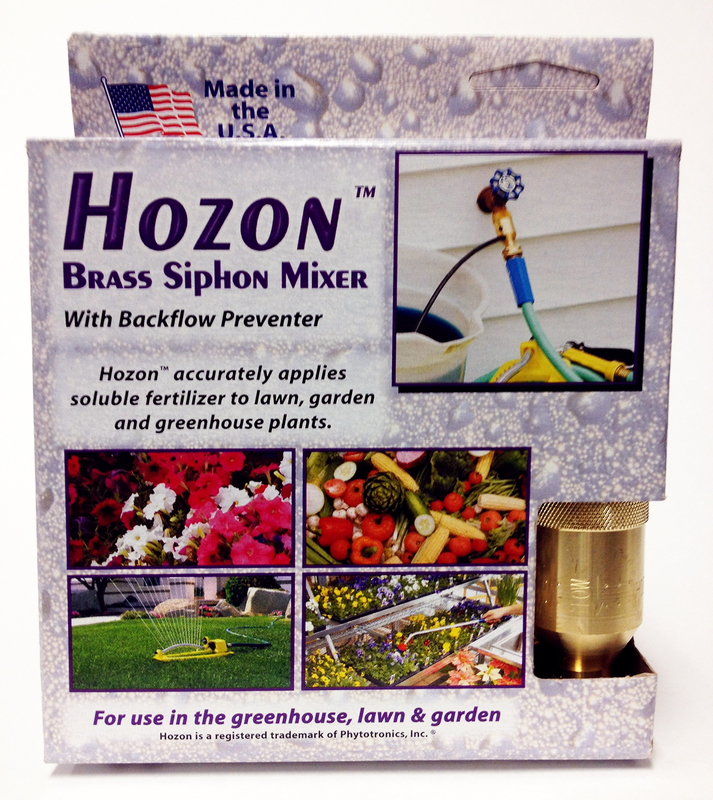 The Hozon attaches between the hose and faucet. A suction tube is dropped into a bucket of soluble fertilizer which is drawn in, diluted and applied while you water. It's a simple and effective mechanism which has proved quite popular among growers. Water passing through the Hozon device will create a suction, drawing the fertilizer solution into the water stream at a rate of approximately one part fertilizer to 16 parts water. Instructions: Put 2 cups of Fish, Seaweed or Blend, per gallon of water, in a 5 gallon bucket, and let the hozon syphon out. It syphons out at a 16:1 ratio, so this dilution is perfect as you apply.